hi i am one of the quiet members over on gmfs. I have a '96 drop top 'maro. 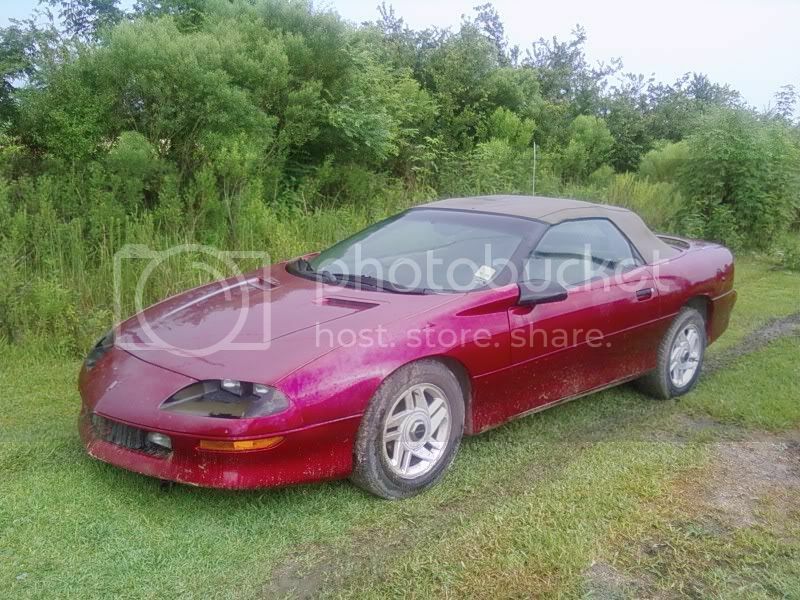 it has a v6 in it now but i bought it as a project car and want to put a real motor in it. i was thinking about maybe a 386 stroker or a 454. mate that up to a 6 speed. Post some pics of it. Will you be louder here then at GMFS? it isn't much to look at now, but i am planning to paint it flat black with some lime green pin stripes. how long have you owned it. You use the convertiable much? i've had it for about a year now but haven't driven it since i bought it. i start it occasionally but i bought it as a project and have been too busy remodeling my house. i picked it up from my in-laws and i have driven it in the past. the top goes down smoothly but will sometimes hang up on the return. If by some small chance you're more interested in a fun and pleasant DD than a balls-to-the-wall hot rod, you might consider keeping the 3800...it's supposed to be a great engine. i don't want it to be a racer but i do want it to have plenty of power. if i drop anything bigger than a 350 in it then it will be a really mild motor. just big enough to smoke the tires from time to time. Last edited by mrmrezg; 04-19-2009 at 08:22 PM. Whats your plans with it then? What ideas do you have? my plans are still in developement. the only thing that i am set on is the paint. i was thinking about some ol'school cragers and side pipes but i am not sure if i want any chrome on it. i have a long way to go on this car so the things that i want today will prolly change 2 or 3 times before it is finished. as long as it is a head turner i'll be happy.